We will start by learning to draw the head of a female Shojo hero (comics for girls), with her characteristic big eyes, small nose and mouth. 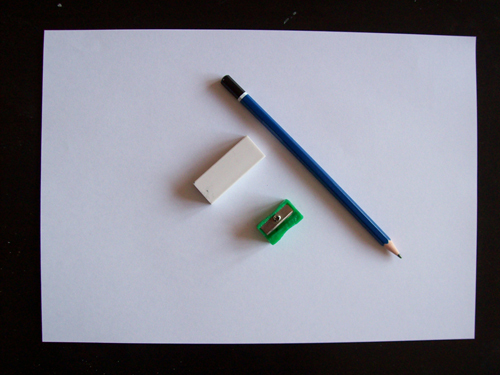 We will do this in black and white and with the simplest of materials: a medium strength graphite pencil, an eraser, and a pencil sharpener. We don't need anything else to begin. We will begin by drawing a circle. 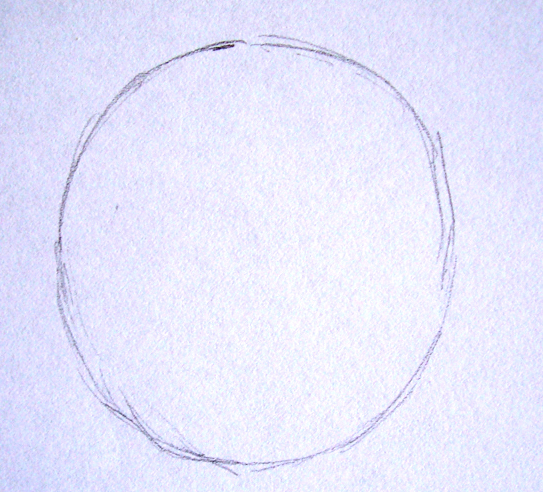 You don't have to work too hard and the circle doesn't have to be perfect. On the other hand, you mustn't press the pencil too hard against the sheet of paper. This shape is only going to be used as a guideline, and as the picture develops, we will erase it. This is why you should do it lightly, simply to fit in future lines.